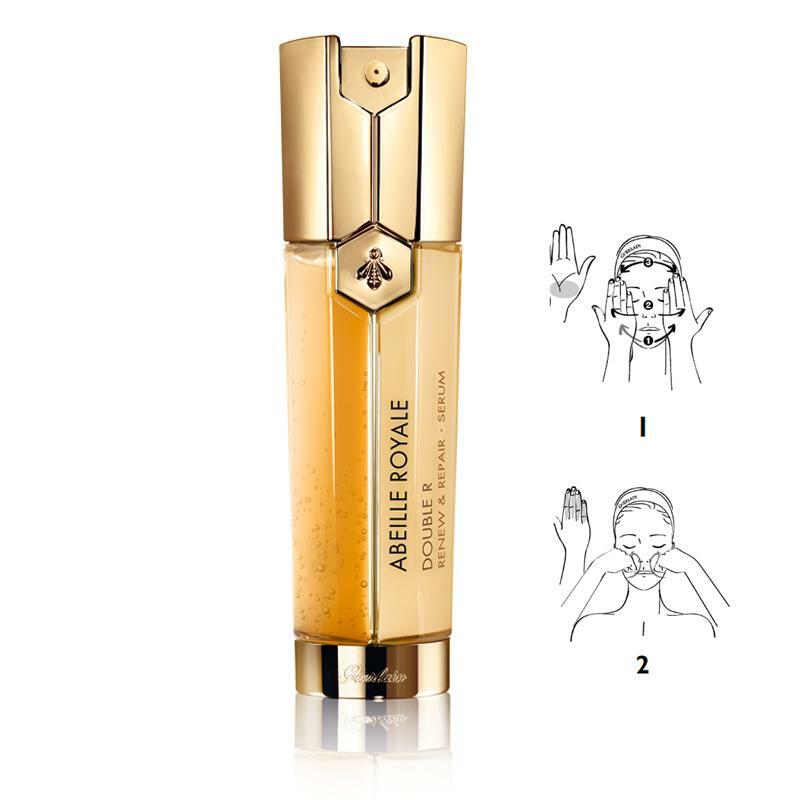 Guerlain's Double R Renew & Repair Serum combines the ultimate anti-ageing corrective technology from Abeille Royale with a soft-peel treatment for highly effective action on the visible signs of ageing. The results: the face looks fuller and its contours become more refined. Day after day, the skin becomes more radiant. ■Apply the product morning and night with both hands. Starting in the middle of the face and moving outwards from the chin, the nose, the middle of the forehead and the neck, before the cream and after Youth Watery Oil.